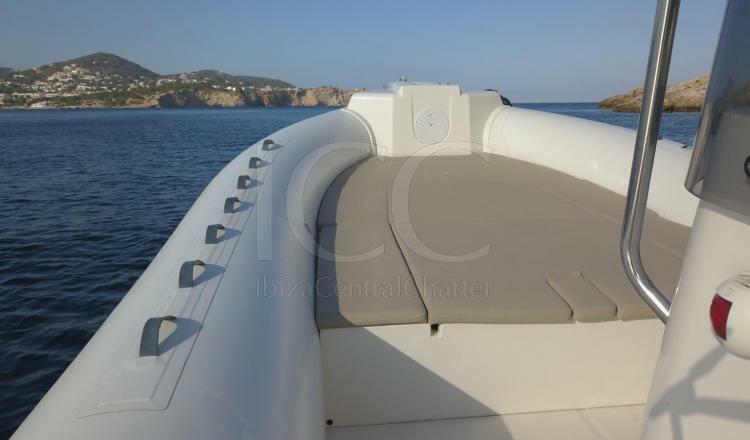 Capelli Tempest 900 large semi-rigid pneumatic boat with sunbathing spaces in any nook of the Mediterranean sea overlooking Ibiza island is the best way to spend a no stress holiday day. 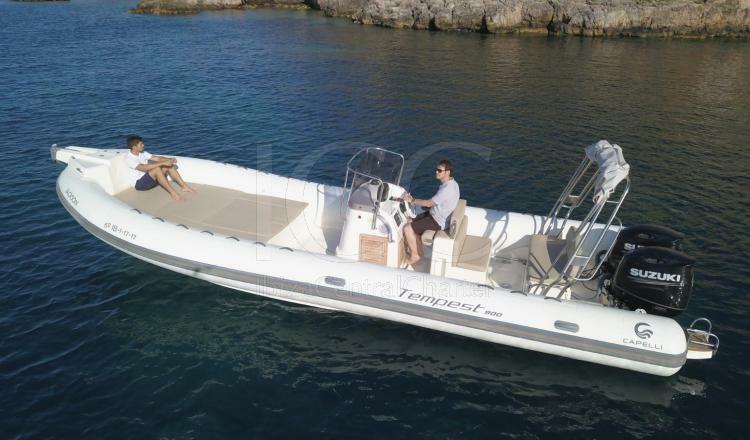 Capelli Tempest 900 located in Marina Ibiza port is a boat with which is really ease discover Ibiza island from the sea. 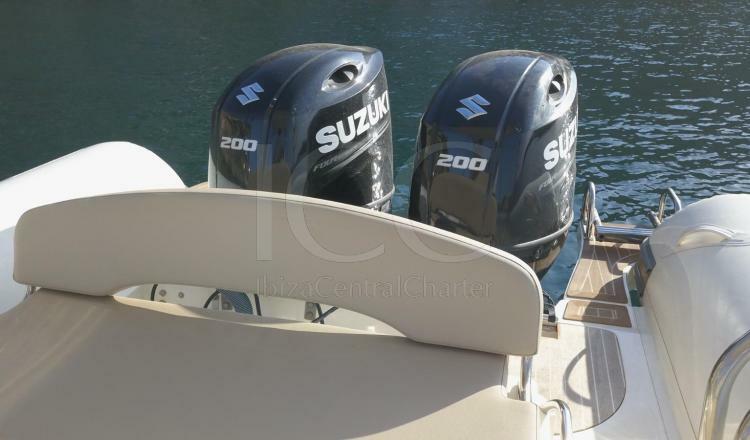 This large pneumatic boat has a wide bow solarium. Does not forget added features such as CD-USB radio that allows you to customize the atmosphere with the music you love, your shower or fridge that will make you feel at home and with a picnic table that facilitates meetings with family or friends at lunch time. 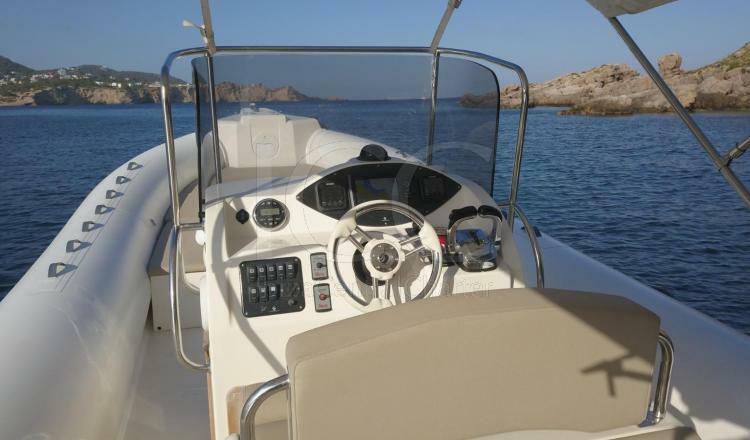 Capelli Tempest 900 is a model worthy of being tried by those fans or interested in sailing and where better than in Ibiza one of the scenic paradises of Spain.